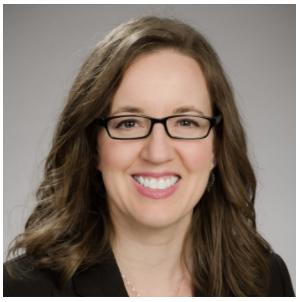 Sarah enjoys learning ways to apply information technology to support patients, to understand best use of patient reported outcomes, and to enhance patient/healthcare professional communication to improve health outcomes and optimize healthcare systems. After completing her post-doctoral training at Columbia University Medical Center, Sarah joined the Department of Biobehavioral Nursing and Health Informatics as assistant professor. Prior to this, she received her PhD in nursing and global health from the University of Utah in Salt Lake City. She has 10 years of experience as a critical care nurse providing direct patient care, including to post-surgical patients and individuals with surgical site wounds and infections. Her research focuses on development of interventions, suitable for the emerging economies of the world that facilitate self-management of health and prevent disease. Current research efforts are focused on converting an interactive texting based intervention into a mobile app based intervention with added functionalities, such as, direct adherence monitoring using drug metabolite testing and images captured by mobile phone, to support individuals with active tuberculosis. Sarah hopes to gain insight into maximizing mHealth interventions to better support individuals or families and strengthen healthcare systems to address complex problems in the US and abroad. She recognizes and appreciates the importance of interdisciplinary collaborations to foster effective solutions.